Health Quality Ontario was the recipient of the Silver Summit International Award in the Government Website category. 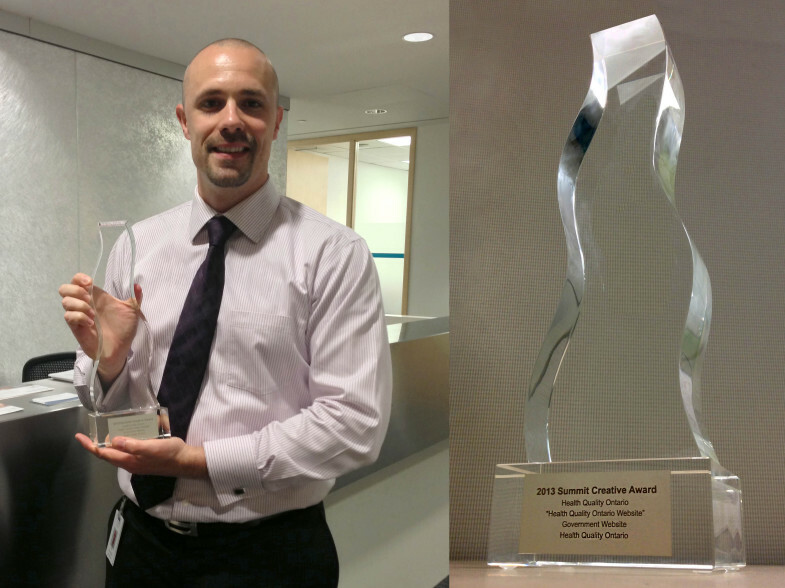 Summit International Awards recognize “best in class” creative and communications excellence. HQO’s site competed with over 5,000 submissions from 23 countries. I am very proud to have received this award; it is a reflection of the hard work and dedication I put towards designing and developing something useful and engaging for all citizens living in Ontario. I’d like to thank my colleagues at HQO for their patience and assistance with making this project what it is today.